Mechanical Engineering, WPI’s oldest and largest department, continues to attract renowned faculty and top students because what we do here is remarkable. The department’s resources allow for diverse research and exploration that give faculty and students opportunities to directly impact areas of most concern to them. In a collaborative and challenging environment, students and faculty work together on projects and research that form the foundation of our commitment to learning while doing. Faculty help students explore and choose the academic path that matches their interests, and then students dig deeper with transformative projects and independent research. 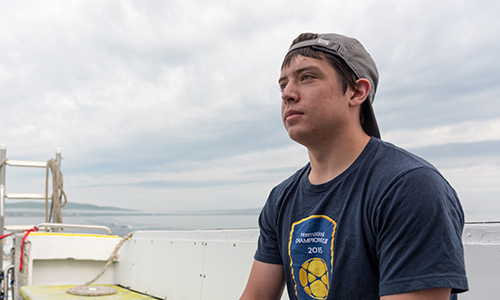 From their first courses here, students sharpen their critical thinking skills and put their problem-solving abilities to real use—giving them a distinct career advantage. 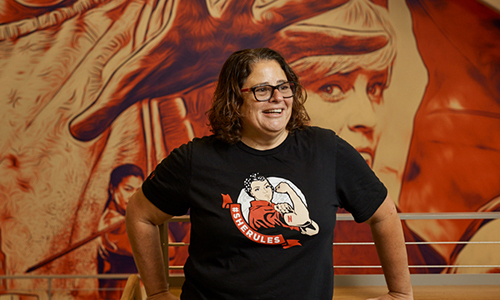 Netflix engineering leader Karen Casella ’83 is advancing the technology that delights millions and working to make the field more inclusive. 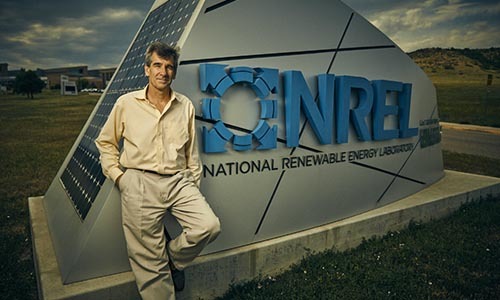 Having begun his career at WPI studying energy efficiency, Rob Cruickshank took a 21-year detour into the cable industry, helping create some of the most pioneering innovations in the field. Now he’s focusing on energy management once again. 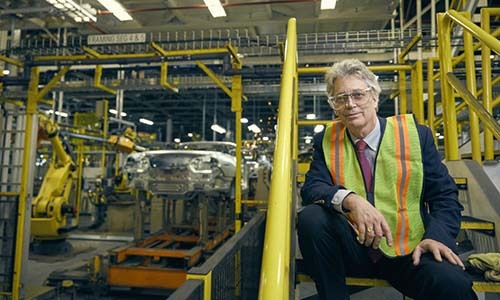 For mechanical engineering alumnus Arthur Hyde ’77, saving the Mustang became his mission during his career at Ford. Students in WPI’s mechanical engineering department have many choices for projects and research including those in aeronautics, astronautics, biomechanical engineering, mechanics, manufacturing, materials science and engineering, mechanical design, robotics, and thermal-fluid engineering. Wind turbines are expected to produce electricity. But the quality of their design and manufacture is a key factor in their efficiency and dependability. Watch this video to see how WPI is working to improve the process and outcome. Mechanical engineering students also have access to several collaborative alliances between WPI and industry. The Metal Processing Institute (MPI) and its three centers work to advance research, solve business challenges, and promote materials science partnerships. The Integrative Materials Design Center, iMDC is a WPI-based research center dedicated to advancing sustainable materials-process- component design and manufacturing for better performance, reliability, and recyclability. The Center for Advanced Research in Drying, CARD is devoted to research in drying of moist, porous materials including food, agricultural products, forestry products, chemical products, textiles, and biopharmaceuticals. The HAAS Technical Education Center earned the distinction of becoming one of a handful of HTECH showrooms nationwide. Students in mechanical engineering programs use these facilities to conceive, design, and create their own CNC machined parts for projects. With the varied skills and problem-solving capabilities of a mechanical engineering education, graduates find careers in industries from aerospace to academia to automotive. Our graduates find their project-based work gives them the hands-on experience needed to hit the ground running after graduation. Outstanding mechanical engineering students may opt to earn a BS/MS degree in an accelerated time. Students interested in the program are encouraged to complete an online graduate admissions application during their junior year, noting they want the BS/MS program for mechanical engineering. A native of Colombia has an eye-opening experience studying abroad and looks to positively impact the military and the energy industry after graduation.